In this fact sheet, students will be introduced to Shakespeare. William Shakespeare is world famous. We know quite a lot about him, but there is still much that remains a mystery. We don’t know his date of birth. We don’t know the date of his marriage. We even have very little idea of what he looked like. So what do we know about William Shakespeare, the man? William Shakespeare was born in 1564 in Stratford-upon-Avon, a market town in a farming area of the Midlands. About 1000 people lived there. Shakespeare, England's greatest writer, may have been born on St. George’s Day: he was baptised on 26th April, so it is possible, but we really don’t know. It would be fitting, as he also died on the day of England’s patron saint – St George’s Day – 23rd April. What was Shakespeare’s family like? William was born to prosperous parents. His mother, Mary, was the daughter of a local farmer. His father, John, was a glove-maker and wool trader with a large family house. When William was four years old, his father was elected Bailiff of Stratford – effectively the mayor. But his early life wasn’t easy. Although William was the third of eight children, he grew up as the oldest. His two older sisters both died very young. And William was lucky to survive. When he was just a baby, in 1564, plague killed about 200 people in Stratford – 1 in 5 of the population. Fortunately, William survived. From the age of seven, boys like William went to grammar school. There was one in Stratford and it is still there today. But schooling was different then. The boys learned to read, speak and write in Latin. They also had to memorise and perform stories from history - useful skills for an actor and writer. Shakespeare probably left school aged fifteen. 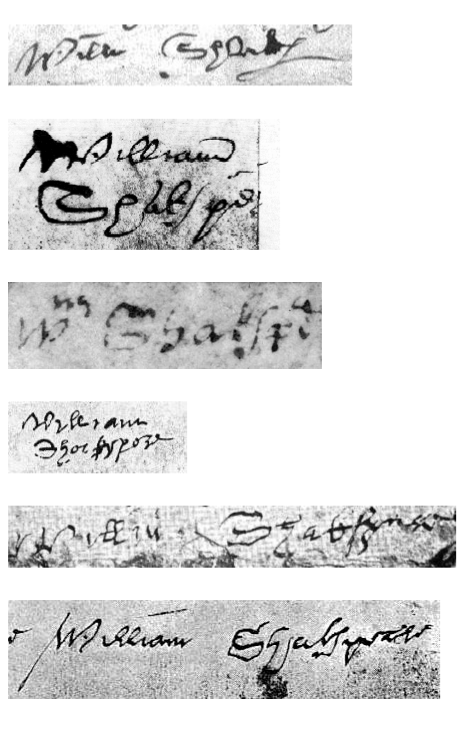 We have six surviving versions of Shakespeare’s signature. They are all different. 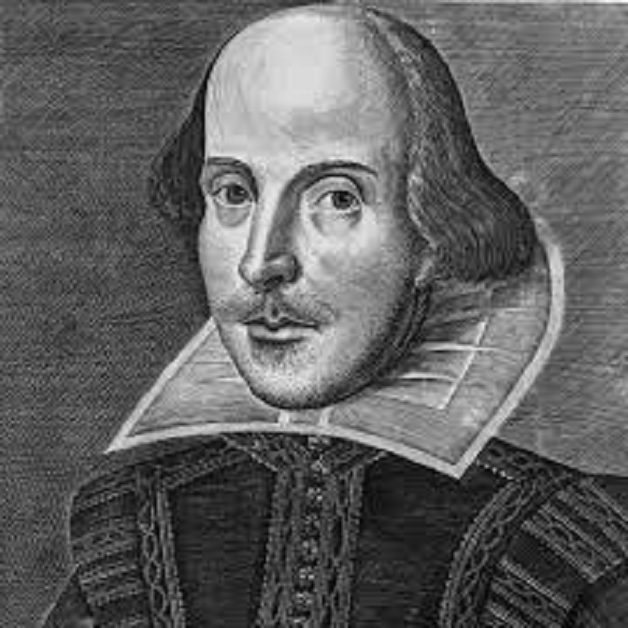 He wrote: Willm Shakp; Wm Shakspe; Willm Shakspere; William Shaksper; Willm Shakspere; William Shakespere; and William Shakespeare. The last version, taken from his will in 1616 is the version we use today. In late 1582, we don’t know the exact date, Shakespeare married Anne Hathaway – a local farmer’s daughter. William was only 18 years old. Most men at this time married in their mid- to late-20s. So why did William marry so young? The answer came six months later, when William’s daughter, Susanna, was baptised. What do we know of Shakespeare’s family life? The answer is… practically nothing. We know William and Anne had two more children, Hamnet and Judith, twins, born in 1585. Anne and the three children probably lived with William’s parents at first. Later, they moved to New Place, a large house in Stratford. But it was a strange family life. Shakespeare spent most of his time 100 miles away, in London. What did Shakespeare do in London? From about 1590 to 1613, Shakespeare lived mainly in London and by 1592 was a well-known actor there. He was also a playwright. His play, Henry VI, was performed at the Rose theatre in 1592. He went on to write, or cowrite, about 40 plays. Shakespeare was also a poet and in 1609 published a book of 154 sonnets. And Shakespeare was a businessman too. He was a sharer (part-owner) of a theatre company called The Lord Chamberlain’s Men. And from 1599, he was part-owner of the Globe Theatre. So, for about twenty years, he made money from acting, writing and running a theatre company. After 1613, Shakespeare spent more time at Stratford. Then, in January 1616, he made a will and died on 23rd April 1616. He is buried in Holy Trinity church in Stratford-upon-Avon. This engraving of William Shakespeare was engraved by Martin Droeshout in 1623. It is used on the title page of the First Folio collection of Shakespeare’s plays, but may be more flattering than he really looked.